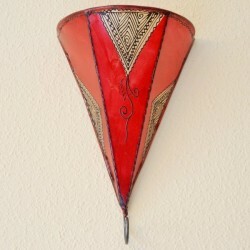 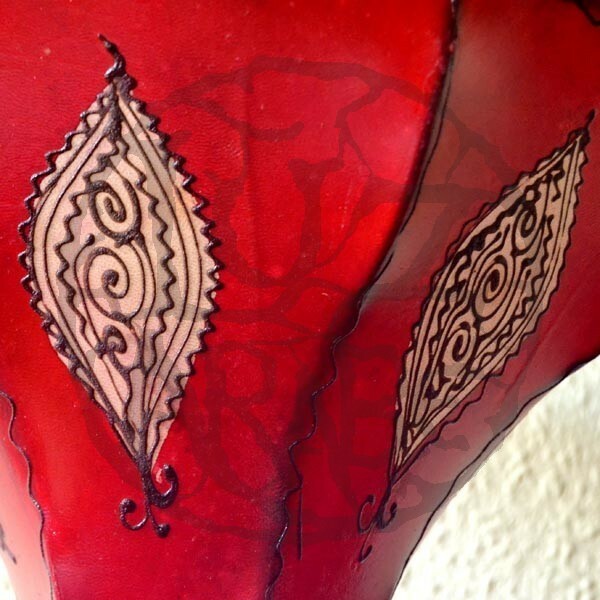 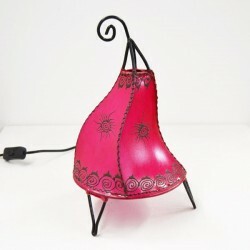 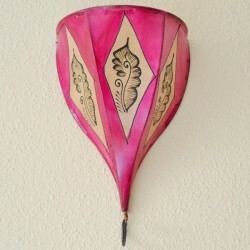 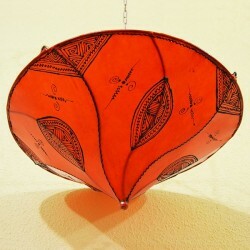 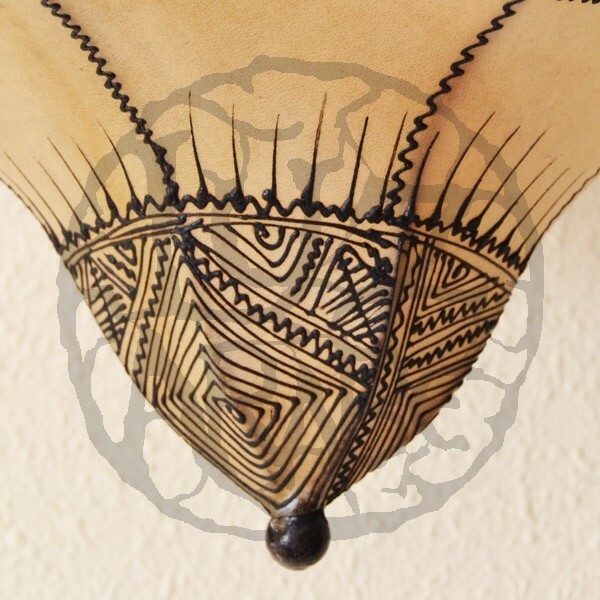 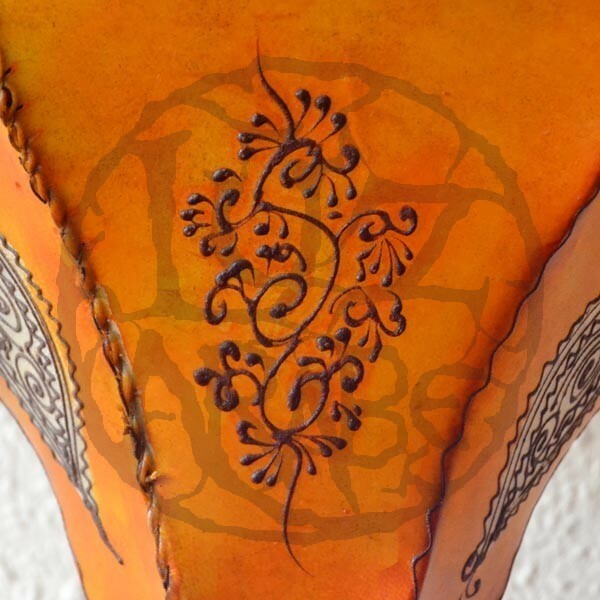 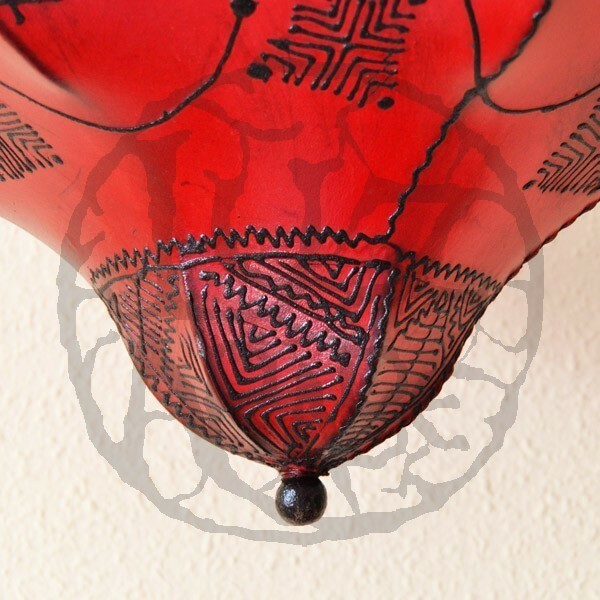 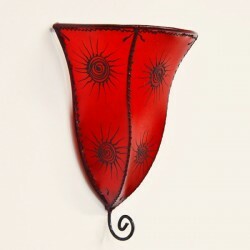 Orchid shape open ceiling lamp of iron covered in leather of cow, goat or sheep treated and hand painted with henna. 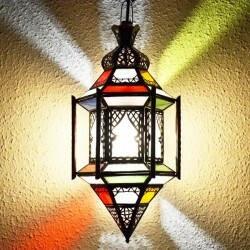 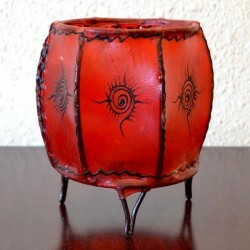 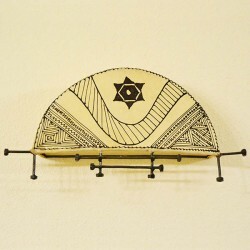 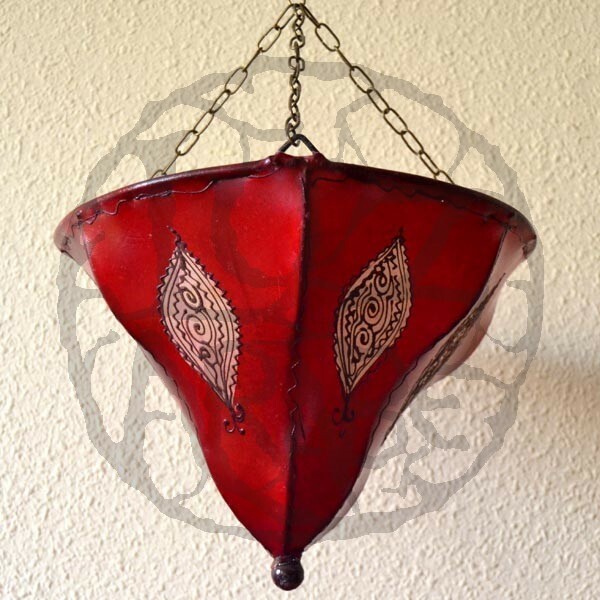 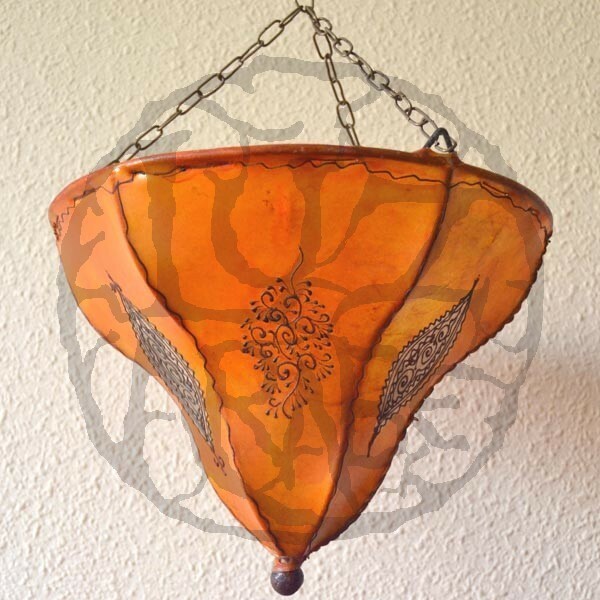 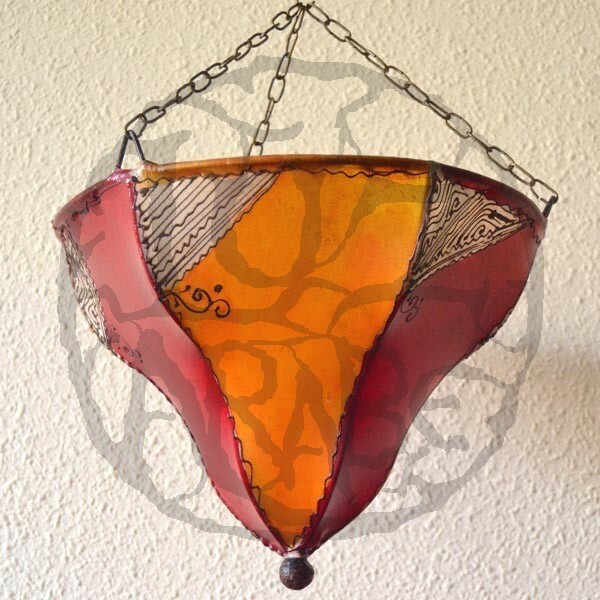 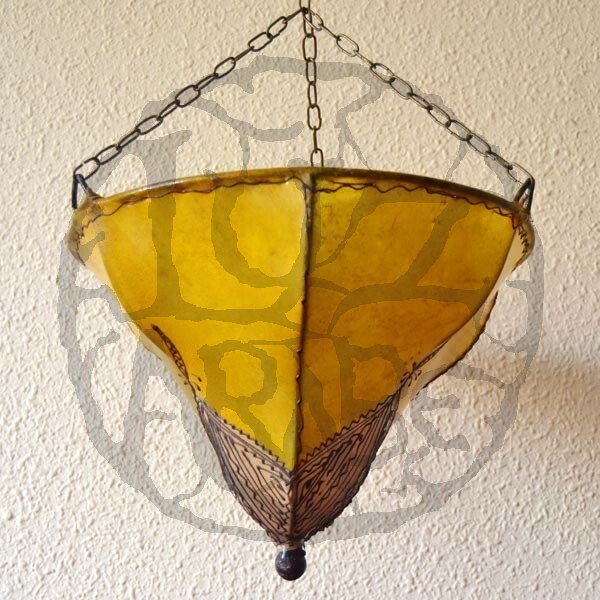 - ceiling handmade Moroccan leather forging and three chains (each 20 cm) to hang. 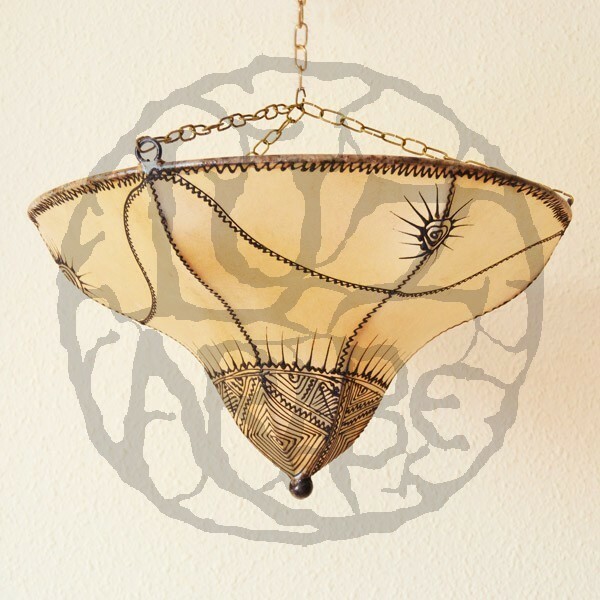 This type of open ceiling lights is designed to be hanged on from the ceiling with a chain (not included) or the same power line, and has no support for the socket itself. 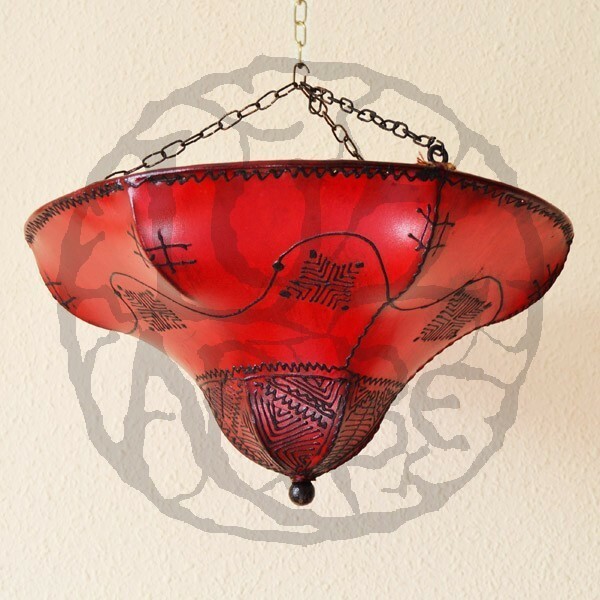 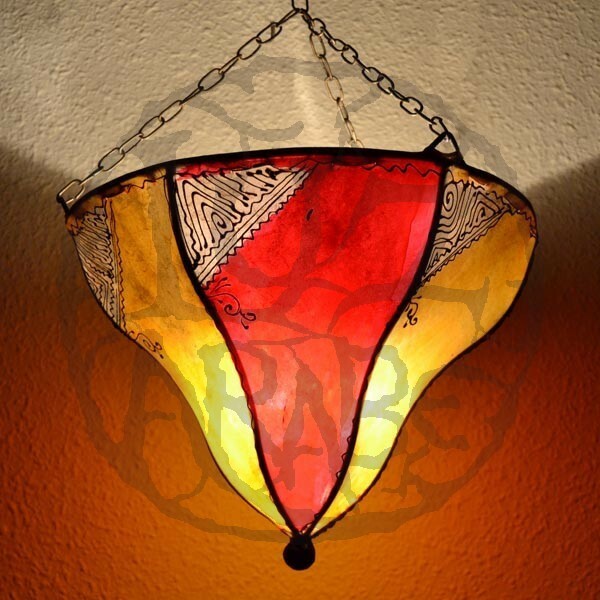 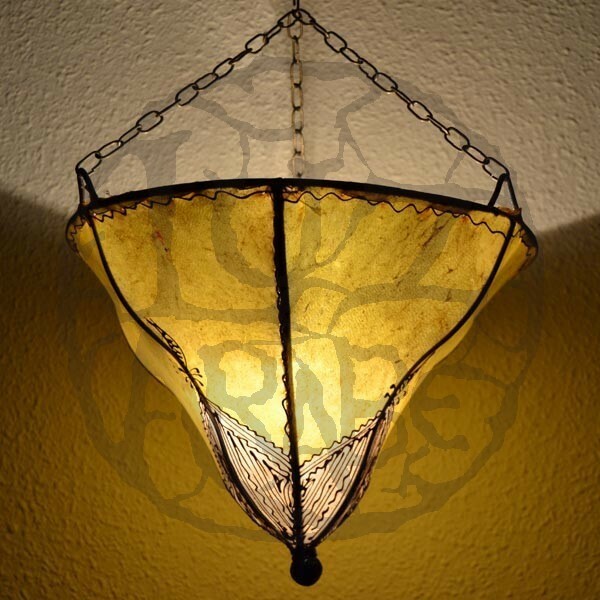 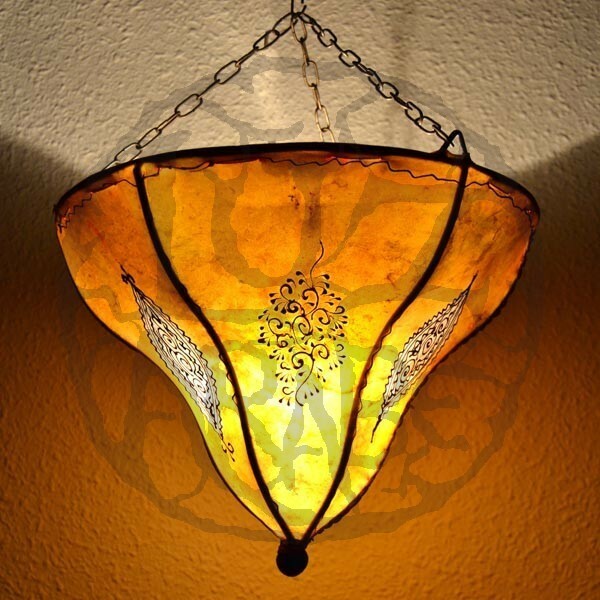 This type of open ceiling light shades of orchid shape can be used both with and without light (as a decorative object). 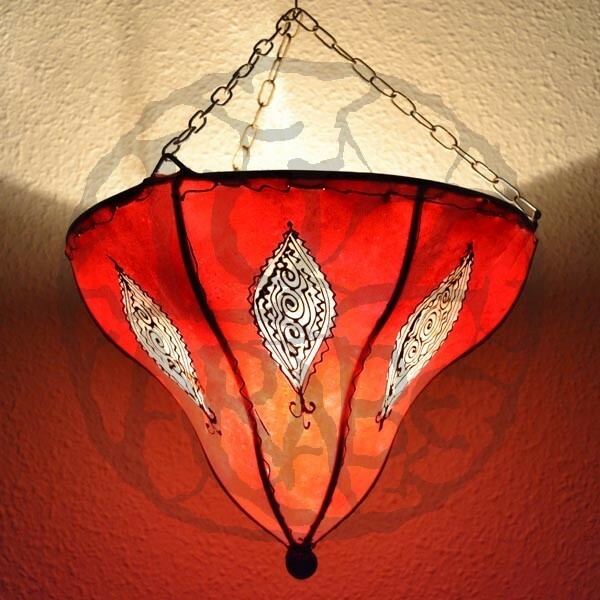 They are ideal for entryways, living rooms and bedrooms with Andalusian and Moorish touches to create a romantic and cozy environment.